Name: TMN Lewis and Madeline Kneberg originally named this type Dallas points for the Dallas focus of Tennessee. John Whatley noted that James Cambron renamed the type Guntersville for examples from the Guntersville Basin of the Tennessee River. 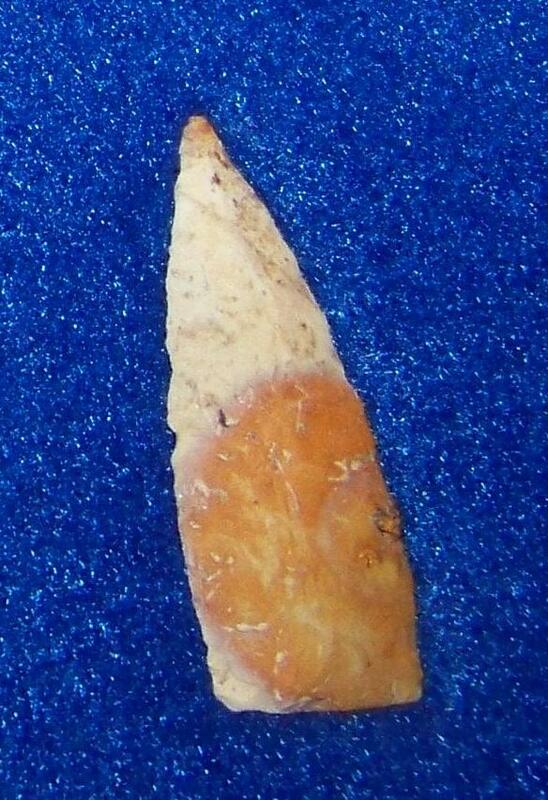 Age: Guntersville points appear to be associated with Late Mississippian and Historic period cultures in Tennessee. 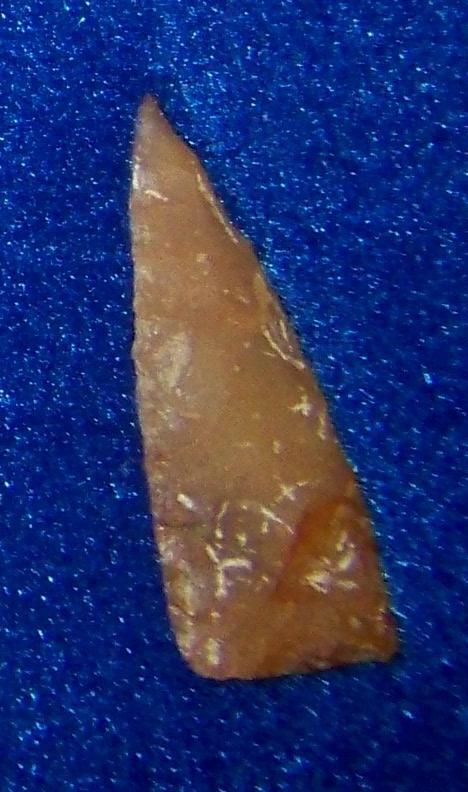 Dallas points are known only from burials associated with Late Lamar sites in northwestern Georgia. This association would date the type between AD1250 and 1650. 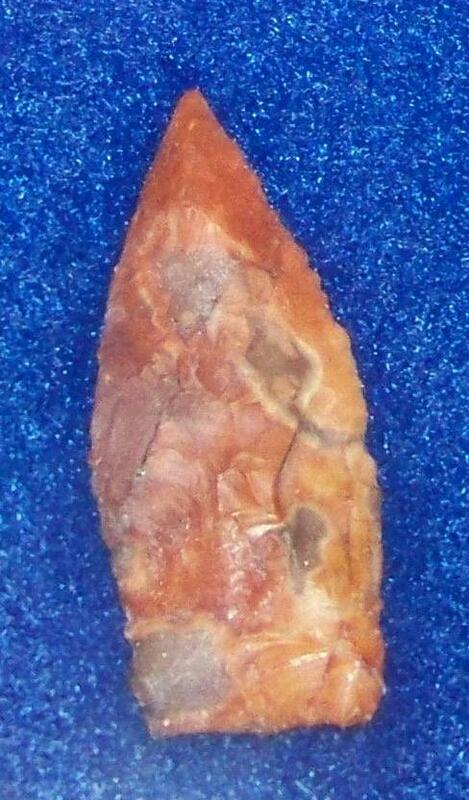 Frankie Snow reported a group of six Guntersville points in a Historic period site (9Cf17) dating to AD1680. 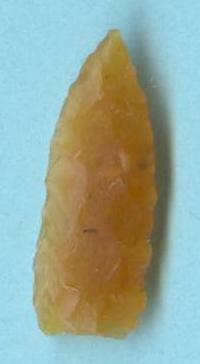 Description: Guntersville points are small to medium in size, ranging between 1 and 1.5 inches (27 to 40mm) in length. The blade is lanceolate in shape with an acute distal end. The blade is formed through random flaking. Dallas points are especially well made. The basal edge is most often flat, but can be slightly concave. Distribution: Guntersville points are more concentrated in northwestern Georgia with a scattering below Georgia’s Fall Line.